After putting up this website I started hearing from people who worked with the FAV. Here are their stories. From Bruce Barnes:The accident occurred as part of a joint exercise and sling load operation with pilots from the Army National Guard in Yakima, Wa. I had just attached the sling, called a “donut”, onto the hook underneath the hovering Blackhawk helicopter just above me and then climbed inside the helicopter to take off for our mission. After about 1 minute into the air, we heard a loud sound like “Thwaannnng” and I looked down to see my FAV spiraling downward to the ground below and then a loud crash – Boom! They quickly landed, and my platoon sergeant told me to get out of the helicopter, threw me a couple of boxes of c-rations and told me to guard it until they come back after the exercise was over Three days later they came back and picked me up. I spent the whole time wondering if I had put the donut on the hook correctly and if I was going to get kicked out of the Army for destruction of military equipment. Turns out the helicopter pilot was a rookie and when he took off the FAV started swaying too much and he ejected it! They said if he had not done so, it may have crashed the helicopter and killed all of us. From Manuel: In 1984 the FAV's still did not have fenders and every time we went out on maneuvers we came back with dirt, mud, rocks and all kinds of things in our laps. The Army came up with a special coverall that fit completely over the soldiers uniform. It was woodland camo colored and made of a new material that was lightweight and waterproof but was more like a cloth than a plastic material. It worked! From Manuel: When we went out to Yakima in our FAV we would take a 12 pack of sodas with us and would keep them on the floor in front of us. They were not in a carton, just left loose but within reach. Whenever we would roll the FAV over, the cans, both full and empty, would fly out and litter the desert with some traveling 30 feet away. Our Sergeant or officer would stop to make sure we were ok and then make us clean up the mess before flipping the FAV over and continuing on with the mission. You don't leave anything behind at Yakima! From Manuel:Although we were in a special unit, we still had to observe all Army regulations. We could put our gear in or on the FAV but we had to wear full army uniform equipment. This included wearing a gas mask kit on your belt along your right leg. This would not be a problem if you were marching or driving a "normal" vehicle, but it was a HUGE problem on the FAV. Between the seats, right next the the gas mask kit, was a cutting brake handle. A cutting brake is used to allow the FAV to quickly turn to the left or right in dirt or sand. Pushing it forward locked up the left rear brake causing the FAV to make a 180 degree turn to the left. Pulling it back made it turn quickly to the right. The gas mask bag was right next to the handle and many times it would push or pull on the handle making the FAV make an un-planned u-turn! Driving the FAV was a lot of fun. A big Thank You to Dave for this amazing story about life at Fort Lewis and driving a Fast Attack Vehicle. Click here to read the new updated story from Dave! I was in the air support unit of the 2-1 at Fort Lewis in 1987 and flew Blackhawks. At the closing ceremony of the HTLD (High Technology Light Division) project I had the honor of lifting 2 Fast Attack Vehicles with my Blackhawk and placing them in front of the Officers and Men of the 9th Infantry who had built and tested these outstanding military vehicles. The men were called to attention and a salute was given to the FAV's. It was a sad day. In 1985 I was in the Navy and stationed in San Diego. One day I was assigned loading duties putting cargo on a ship heading to South Korea. On the dock, in a nice straight line, were at least 20 Fast Attack Vehicles waiting to be harnessed and loaded into the hold of the ship. The ships next port of call was the Port of Incheon in South Korea. The mission was not documented. The next stop was the island of Okinawa. I wish I had a camera back then. Between 1984 and 1985 I was stationed at Moffett Field in Santa Barbara California. It was an Airship base during WWII and a couple of the huge hangers were still there but only one was being used. My job was to move things around the base. I operated stationary and mobile cranes and various kinds of forklifts. One thing that struck me as very odd was a corner of this huge hanger was sealed off and built into a mechanics shop. It was run and staffed by the Army but this was a Navy base! One day I was told to move about 30 crates that were about 20 feet long, 6 feet wide and about 4 feet tall. They came on base inside a tracktor-trailer and I was to take them to the shop inside the airship hanger. As I began stacking the crates a Army corporal came out for a smoke and we talked about the shop. He told me he couldnt take me inside but he opened the door and let me take a look. They were building Army Dune Buggies! He said it the best job he ever had. A few months later, the buggies were gone and the shop was empty. I always wondered what happened to the buggies. Your website made it all clear for me. Thanks. When the first Fast Attack Vehicle was delivered at Fort Lewis, we thought it was a recruitment tool to get the California surfer guys to sign up for service. In no time it looked like there were hundreds of them speeding thru the streets of the base. It drove the MP's nuts because the M151's couldn't catch them. Before long the MP's asked for their own FAV's to catch the offenders. After that most of the speeding was done at Yakima. The MP's had a ball with them. The division had two battalions labeled Fast Attck. About 50 vehicles. Most were equipped with .50 cals and M60 mg. They resurrected the 40mm automatic mg from the old Nam days, designated it the MK19. Still in use today. They also mounted the TOW misleading system. They loaded those things down with a lot of equipment, fuel, water, ammo, radios etc. some of them looked like gypsy wagons rolling down the road. Like I stated I knew the company commander of A/2/1, CPT Weaver. Knew him when we were in Korea. He took me for an hour ride in one of those. My back was sore for a week after that. 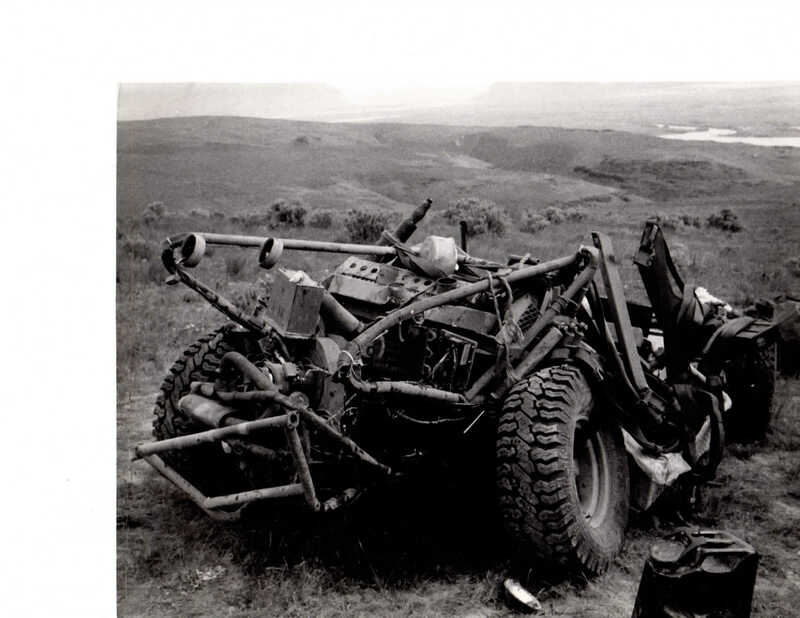 Around 1983 the 9th Infantry Division at Fort Lewis had 2 Light Attack Battalions that used dune buggies as part of their training. They were given a nickname by the other battalions. They were called The Toys-R-Us Battalion. Let me tell you what I remember about my Army Fast Attack Vehicle (FAV). The last time I saw it was in April 1986. This one was a two seater model and it had a gun mount on the top of the front roll bar. I used a Mk 19 40mm automatic grenade launcher on this FAV and I had to sit on the rear roll bar to fire it. There was a second FAV in my squad that mounded an M60 machine gun in its gun mount. The engines that were used in these were racing engines out of brazil and I used two sets of Bosh platinum plugs that I bought in the engine and I had to clean the plugs daily. That’s why I had two sets. One set in the engine and one set out of the engine to be cleaned. The jack we had would not lift the FAV up enough the get the wheels off the ground. So we would use a 40mm grenade ammo can, lift up the FAV shove the ammo can under it and the wheels were then off the ground and we could then change the tires if needed. I was 18 when I was assigned to Fort Lewis. When I arrived on base I saw a dune buggy with full camo and 2 weapons mounted on it. My first thought was this was going to be a fun place. I called my brother, who was also in the Army and asked him if he got to drive dune buggies at Fort Stewart. He thought I was crazy. He said "Dune Buggies are not Military vehicles". Little did he know. I was a PFC at Fort Lewis in 1984. The High Tech Light Division had a training mission in South Korea that included several of the Fast Attack Vehicles. It was very cold there and the vehicles were open dune buggy type vehicles with NO HEATERS! We were wearing 6 layers of clothes and could hardly move but every time we got to drive the buggies we always had smile on our face, right next to the frozen ice on our cheeks. Several Fast Attack Vehicles were driving pretty fast thru the hills at the Yakima Training Center when one of the wheels just flew off the one in front of us. It flipped over and rolled several times. The M2 snapped off the top and landed 10 feet away. We stopped to help expecting to see some badly injured soldiers. We grabbed the chassis and just rolled it back up on it's wheels. The driver and gunner unhooked their harness, jumped out of the FAV and said "can we do that again?" Not even a scratch on them. Those things were really built well. Another soldier who went with the 9th to South Korea said they brought an entire truckload of extra engines for the FAV's. They were very hard on the engines and they learned how to swap a engine in less than 30 minutes. This story is from a soldier named Phillip. He was part of the team that went to South Korea during the Team Spirit exercise in 1986. He also was part of the first ever ground launch of a Hellfire missile. His FAV played a big part in that launch. Thank you Phillip. speed, maneuverability, and just plain old fun! New Mexico... Fort bliss covers part of two states. for a hell fire missile. Thanks again for the site! kudos on that incredible restoration! You can see the dual air cleaners, antenna and top gun mount on this FAV. Phillip is on the right on the radio. Here Phillip is operating the laser that guided the Hellfire missile. You can see his FAV in the rear, covered by camo.